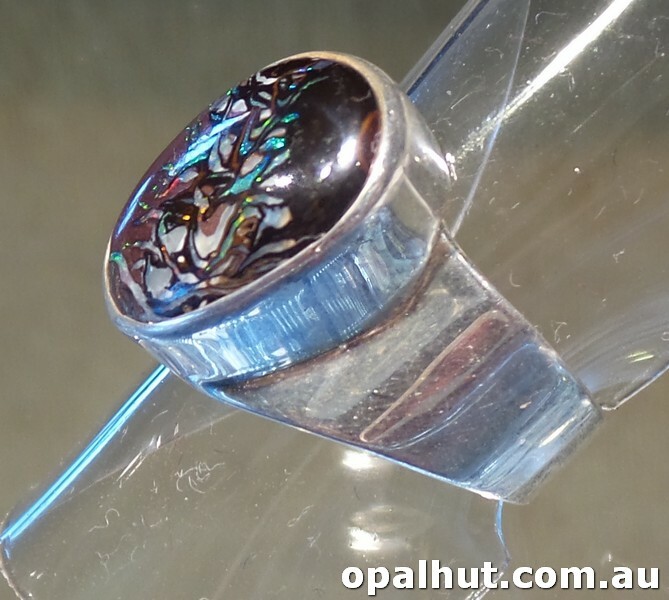 Bolas and other items set in Silver and Sterling Silver. 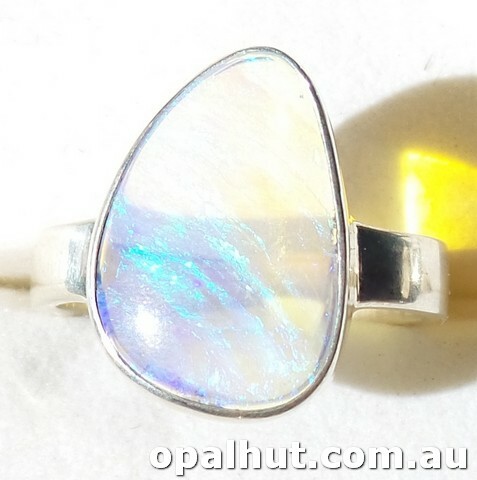 A lovely solid crystal opal set in sterling silver. Yowah opal set in sterling silver. 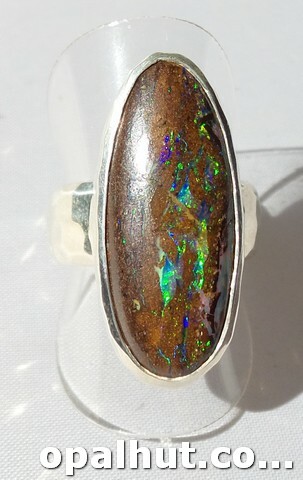 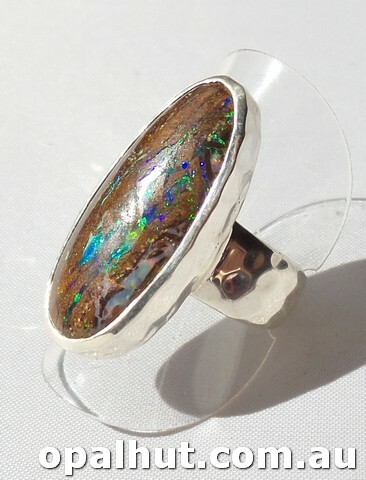 A beautiful piece of opal with bright rolling flash of blue and green bezel and dark ironstone set in sterling silver. 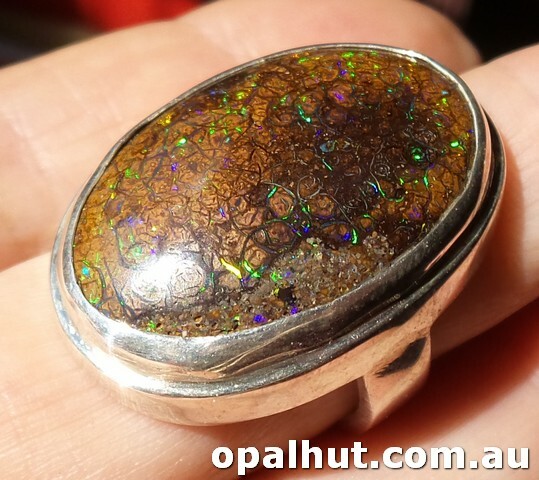 Opal measures approx 9mm x 5mm. Inside diameter of ring is 17.5mm. 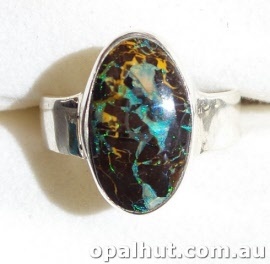 Around a 7.5 US size. 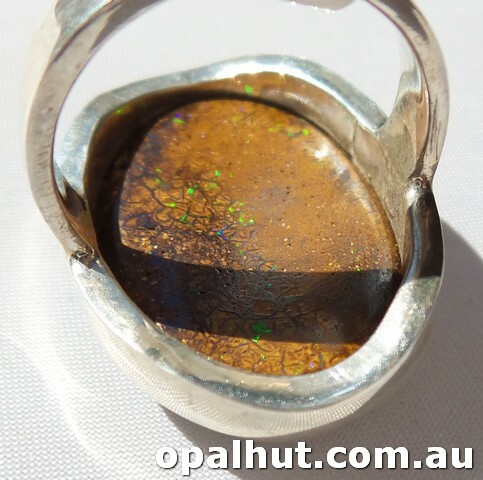 Lots of green and gold sparkle. 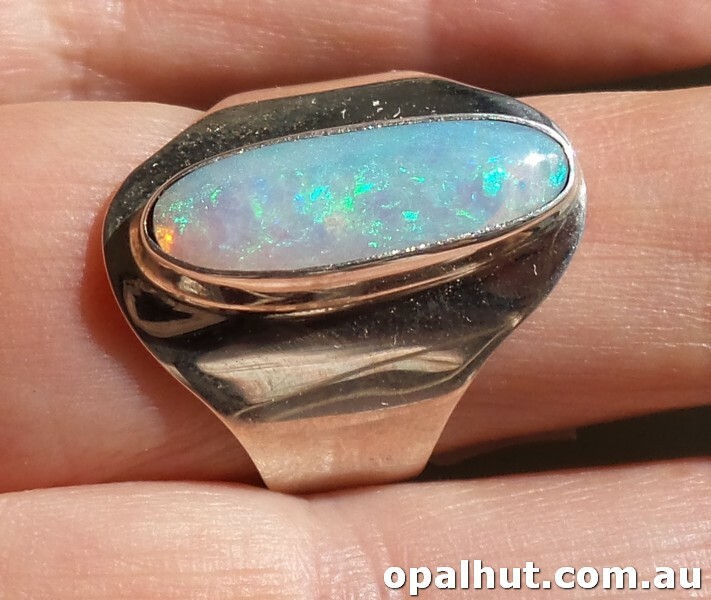 A lovely elegant free form opal with sparkling pink opal set in Sterling Silver. Opal measures approx 11.5mm x 10mm. Inside diameter of ring measures approx 19mm. 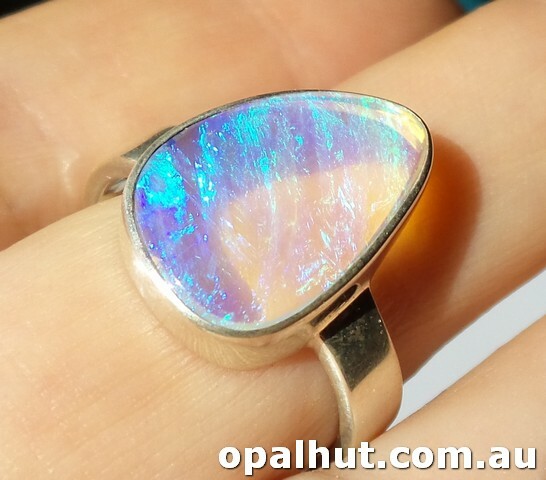 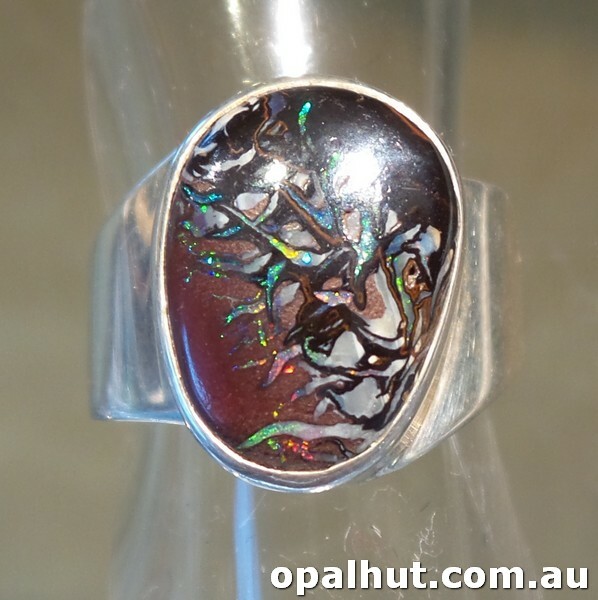 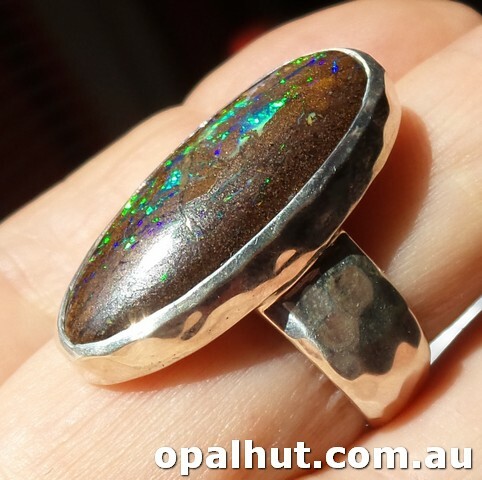 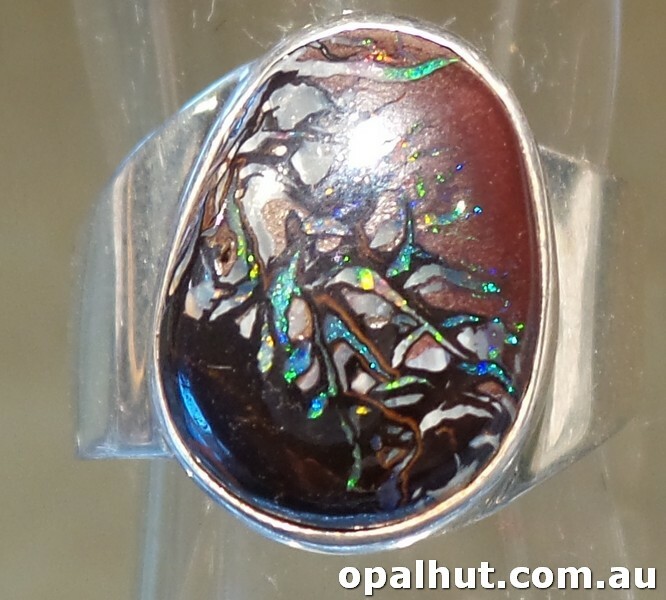 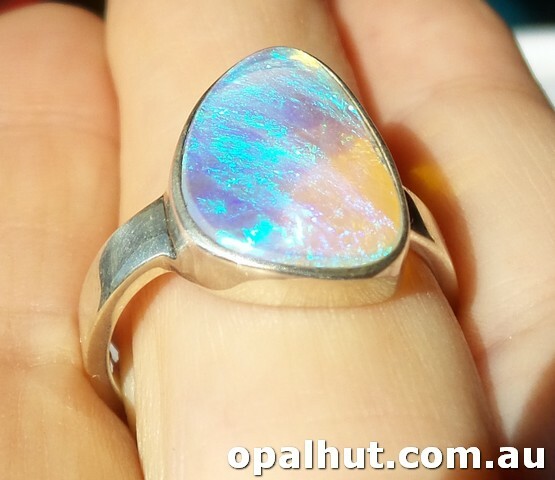 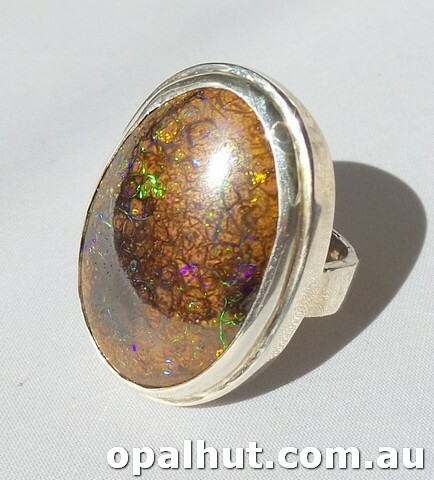 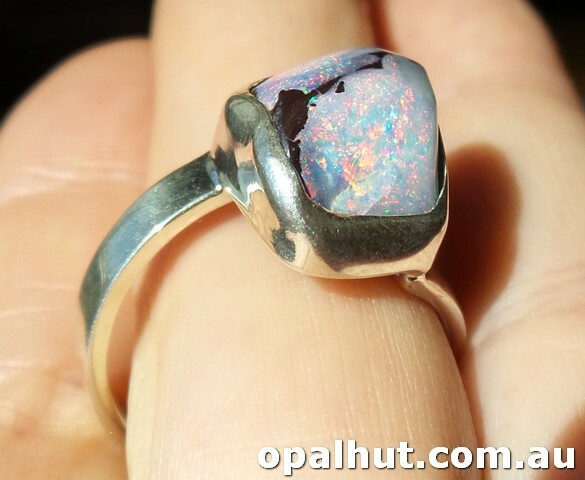 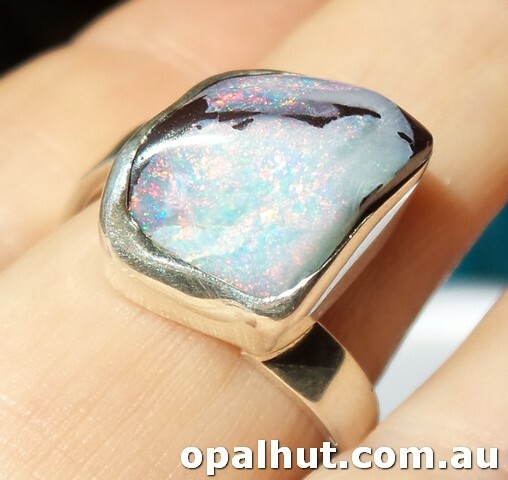 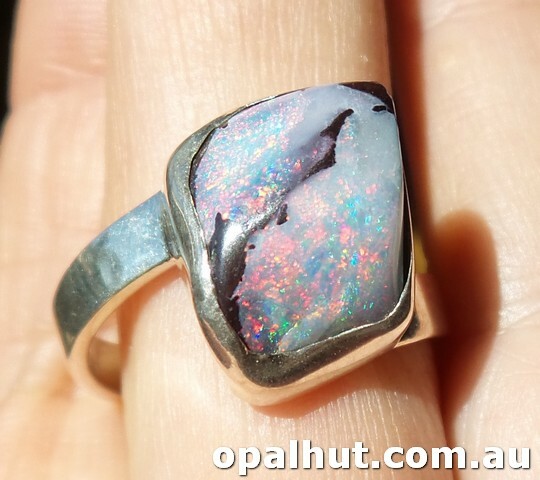 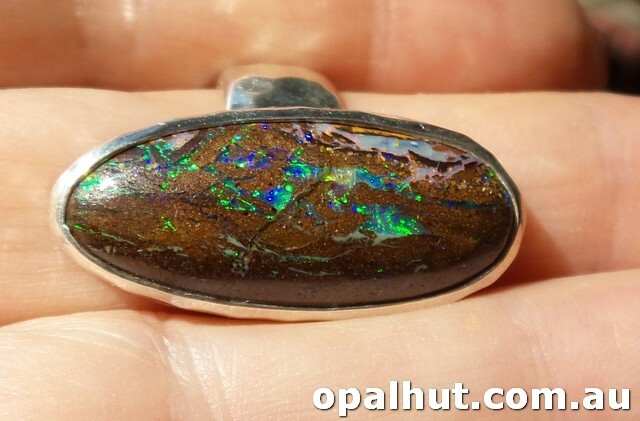 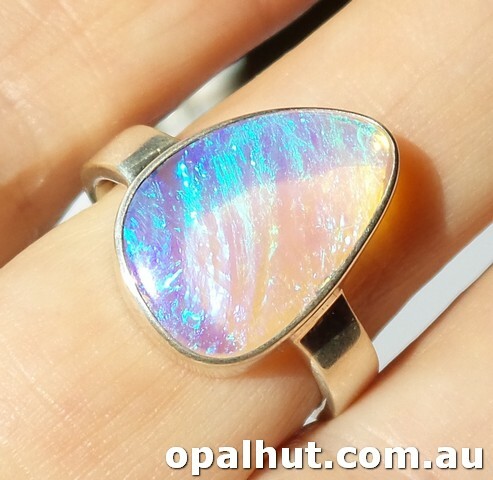 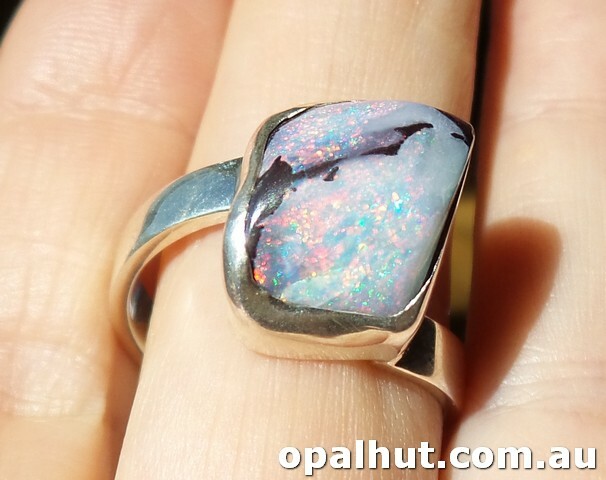 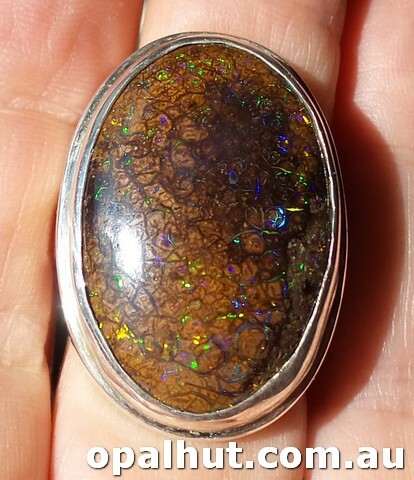 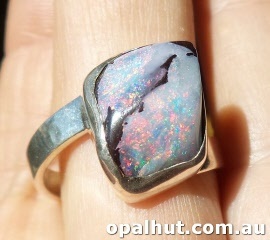 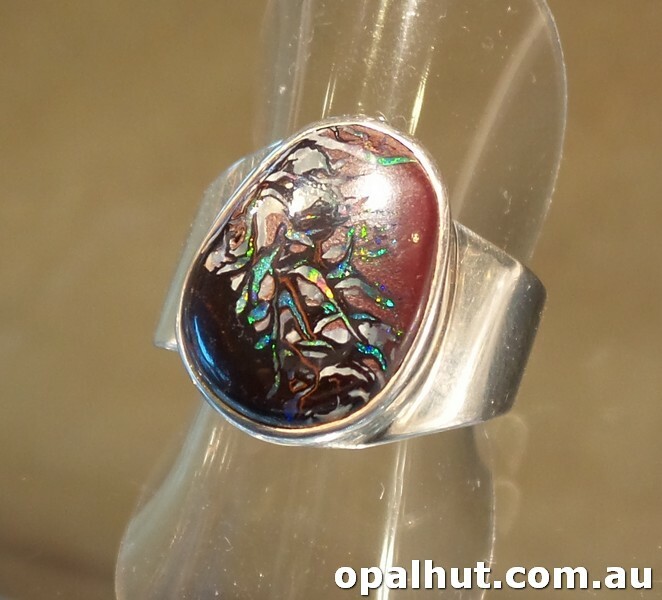 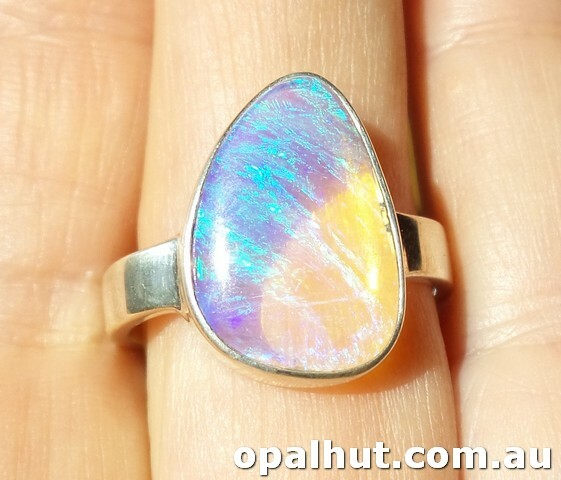 Opal wood replacement with mauve blue green sheen which deepens when placed on your finger. 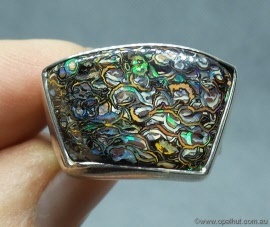 This is a really beautiful piece. Opal measures approx 16mm x 10.5mm. 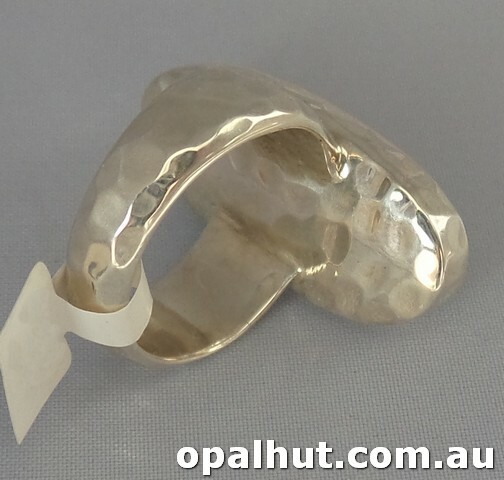 Inside measurement of band measures approx 19mm.